Burlanes Hoyden Kitchen, Tonbridge, Kent. ©Sarah London Photographer. 'Sociable' can mean very different things to different people, so it is very important to consider what you really want to achieve from your kitchen, and how your designer can help you do this. Are you wanting to create a family hub to gather each evening, to chat, cook and dine together? Or are you dreaming of entertaining and hosting for 20 guests, for dinner parties and drinks all summer? It is so important to work with a kitchen designer who will ask you these questions, and will create a space that is perfect for you. Burlanes Wellsdown Kitchen, Southend-On-Sea, Essex. ©Sarah London Photographer. Layout is one of the most important aspects to consider when designing a sociable kitchen. 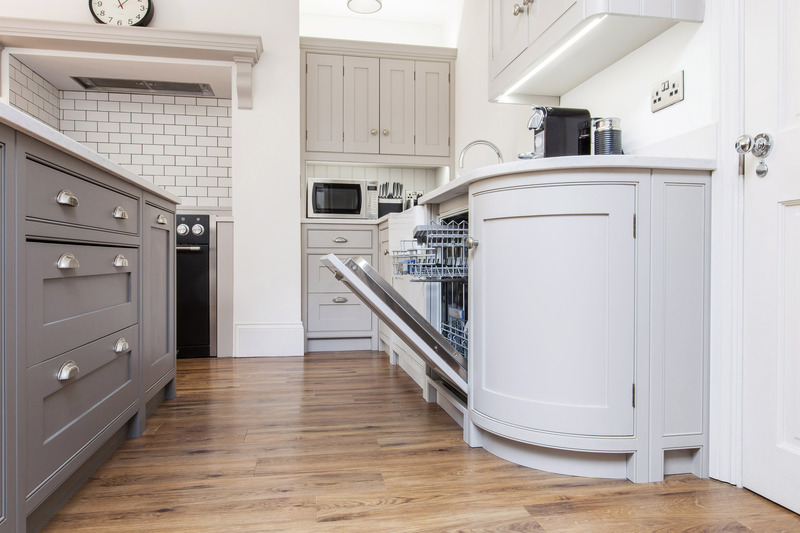 It is vital that there is enough space to accommodate more than just the cook, and for your family and guests to be able to move freely and safely around the room. 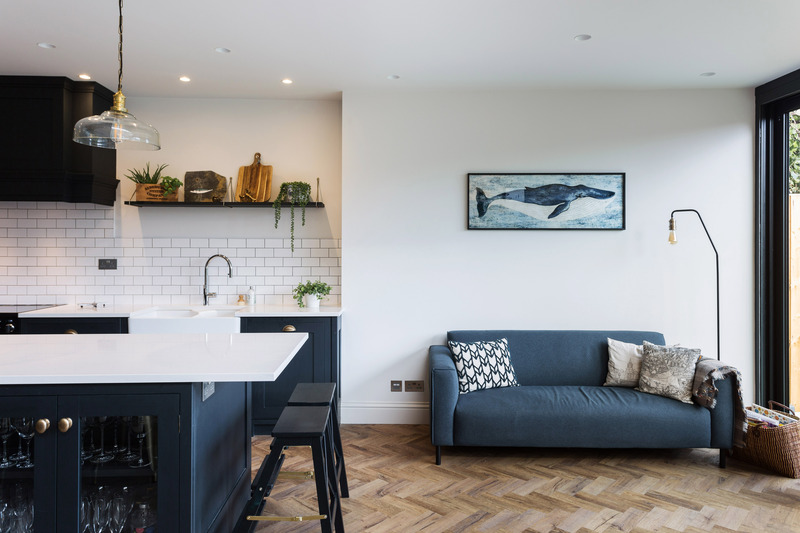 Naturally, a kitchen island is the perfect design choice if you have the available space, as additional worktop space is automatically created, as well as a central hub to gather around. Burlanes Wellsdown Kitchen, East Sussex. ©Sarah London Photographer. 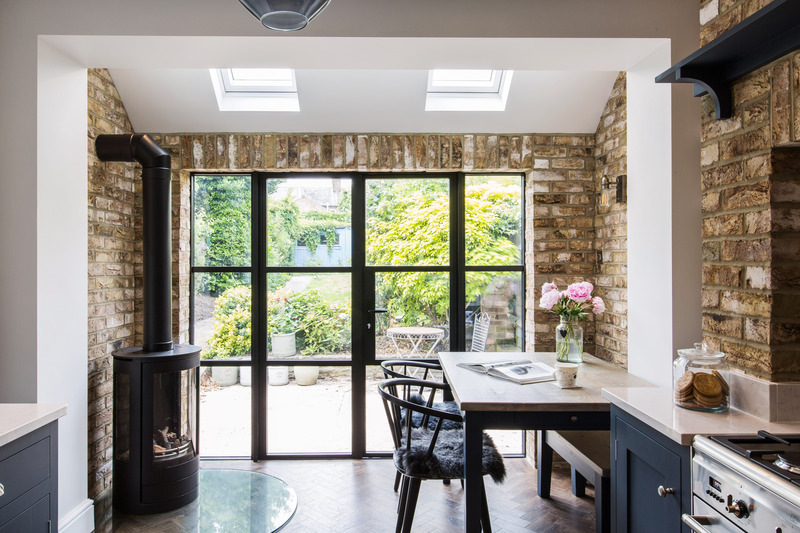 If your kitchen leads out to your garden, make the most of this by creating an indoors-outdoors entertaining space; bi-fold doors are the perfect solution to this. Consider the positioning of your kitchen island and seating areas in your kitchen, so that the garden is easily accessed by guests, and the view can be truly appreciated. Burlanes Hoyden Kitchen, Tonbridge. ©Sarah London Photographer. There is no better way to bring your guests into the kitchen than an open-plan kitchen and dining space. If you want to create a divide between the two rooms, consider a large kitchen island to create a galley style kitchen within the room, or opt for a peninsula projecting from the wall, creating a U-shaped kitchen, and dividing the two living spaces. Burlanes Wellsdown Kitchen, Hythe. ©Sarah London Photographer. If you do not have the space for a dining room table within your kitchen, then consider a breakfast bar or seating at your kitchen island instead. It is essential that your guests feel comfortable and welcome in your kitchen, and somewhere to sit is the key factor to this! Burlanes Wellsdown Kitchen, Sevenoaks. ©Sarah London Photographer. For a much more informal setting for drinks with friends, consider integrating soft furnishings and a living space into your kitchen. If space allows, having a sofa and a living space to gather around is the perfect way to ensure your kitchen is a social hub. Burlanes Hoyden Kitchen, Greenwich. ©Sarah London Photographer. When entertaining, the last thing you want to be stuck doing whilst your friends are drinking wine and chatting, is the washing up and clearing away. If you are hosting dinner parties, there will inevitably be an awful lot of washing dishes and clearing away to be done, so keep it as quick and easy as possibly by careful consideration of your kitchen layout. It always makes sense to position the rubbish bins next to the sink and the dishwasher, for a quick scrape-rinse-load action. 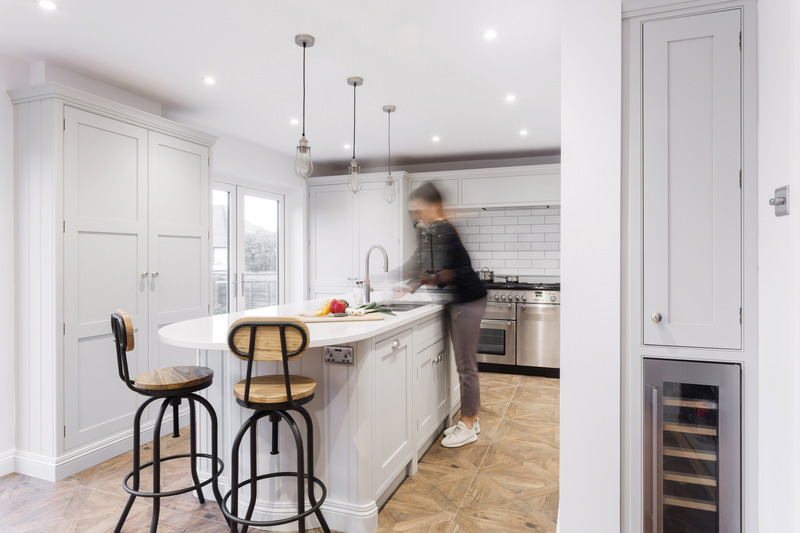 If space allows, a separate scullery accessible from the kitchen would be the perfect option to clear the dishes away and out of sight, ready to be tackled the next morning once your guests have left. Burlanes Hoyden Scullery, Tonbridge. ©Sarah London Photographer. What better way to create the perfect social hub than a home bar in your kitchen?! If you want to entertain guests solely in your kitchen, then a bar is the perfect way of keeping them there! 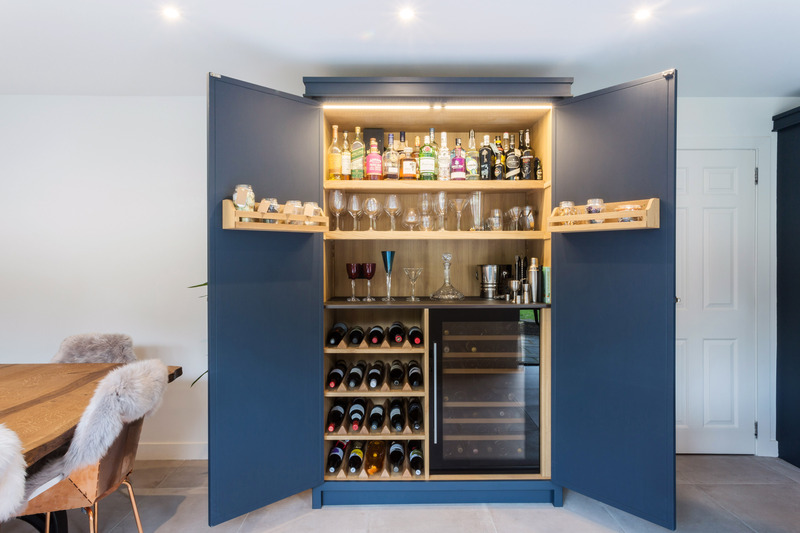 If you want a more discreet, traditional look, conceal your home bar within the kitchen larder. Burlanes Decolane Kitchen, Upminster. ©Sarah London Photographer. Finally, it is essential that lighting is carefully considered to create a welcoming and inviting kitchen. We would always advise making the most of natural light, and letting as much light into the room as possible. Burlanes Hoyden Kitchen, Chelmsford. ©Sarah London Photographer. 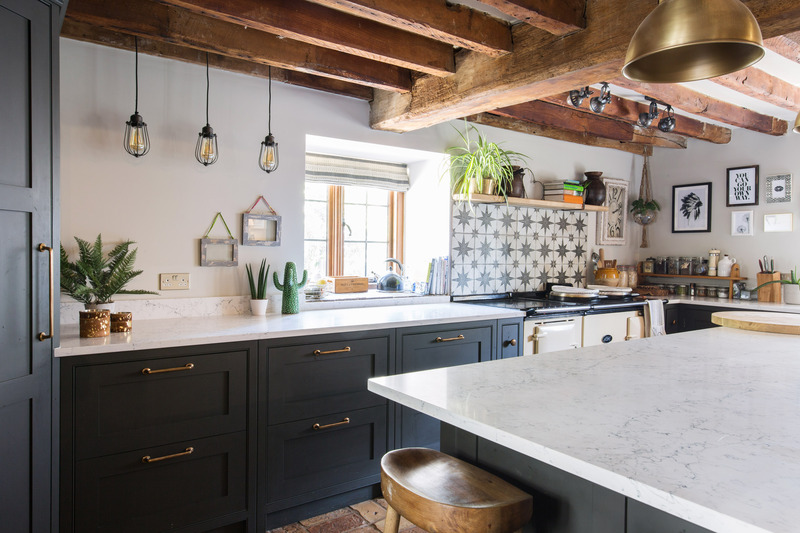 Alternatively, if your kitchen has a dark and moody vibe, pendant lights over the island are a great use of light, and wall lights are lovely too. Burlanes Wellsdown Kitchen, Maidstone. ©Sarah London Photographer. What have you done to ensure that your kitchen is the heart of your home? Please do share your top tips with us in the comments!